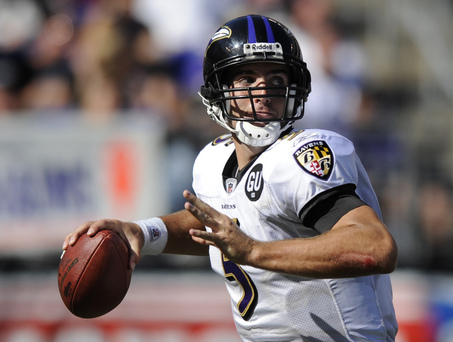 Baltimore Gridiron Report - Page 2 of 368 - The Definitive Baltimore Football Blog! The hip injury that has sidelined Ravens quarterback Joe Flacco is still bothering him to the point where he’s going to miss another game, as rookie QB Lamar Jackson will get the start Sunday for the Ravens against the Oakland Raiders. QB Joe Flacco (back) did not practice this week and Coach Harbaugh said he’s counting on Lamar Jackson being the starter again this week. Jackson was impressive in his debut last week against the Bengals, rushing 26 times for 119 yards, and throwing for another 150 yards in the 24-21 win. Can Lamar Jackson Lead the Ravens Past a History of Tough Road Decembers and Into the Playoffs? After a 3-1 start the Baltimore Ravens seemed to go in the tank, ruining what likely (from all the rumors) will be the final season in Baltimore for head coach John Harbaugh. 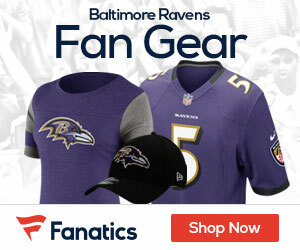 With the coach stepping away after this season, it’s understandable for the team to have their thoughts elsewhere, but with a win over the Bengals at home last week, the Ravens suddenly have their sights set on a wild card spot in the AFC, and might just have the best chance at the sixth overall seed. When looking at the latest odds, which you can see it here, the Ravens have six huge games left if they want to get to the postseason, but have a trek that might not be as daunting as some might think. What could be the biggest key is that they probably are going to need to win once or twice in their final three road games, which is not going to be easy as history states. The team will travel for a huge game in Atlanta against the Falcons, and also play at Kansas City Chiefs and at the Los Angeles Chargers. 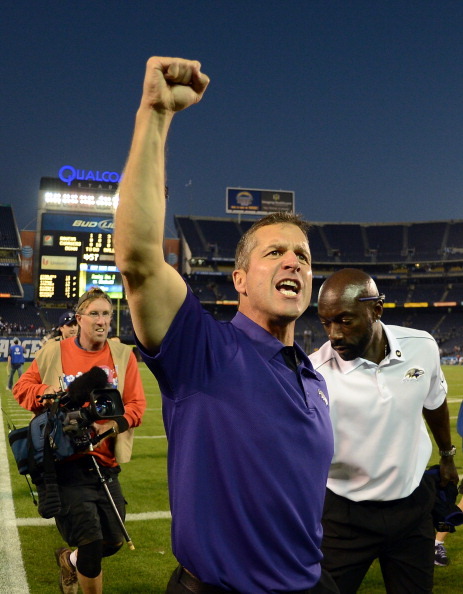 When looking at the Ravens history of winning on the road in December, it’s simply not good. Since 2015, the Ravens has won once on the road in December, and if you don’t remember that, it was a lackluster win last season against a Cleveland Browns team that didn’t win a game in 2017. 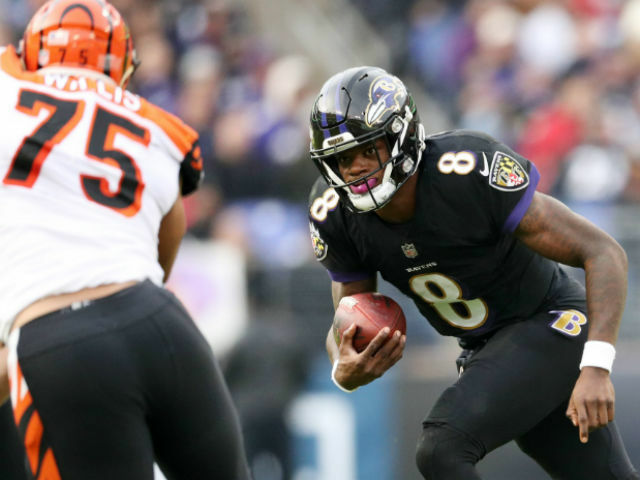 On the positive side, the team is sixth right now in the playoff race, and one thing they have going for them is a rookie quarterback in Lamar Jackson who in his first NFL start against the Bengals showed no fear, and he doens’t seem to care about the past when it comes to this team not winning on the road in December. Jackson’s ability to run the ball is right up there with the likes of Michael Vick in his prime, and it gave the Bengals (as would be expected) fits in his first start last week at home. Teams are going to get more tape on Jackson and likely have better game plans than that of the Bengals, but for now it was fun to watch a different look to the Ravens offense with Jackson under center and running every which way but loose, and the team seemed energized by it. The playoffs are in sight, despite the history of the team not winning in December, but with Jackson anything is possible at this point. An outraged Marshal Yanda denied spitting on Bengals linebacker Vontaze Burfict on Sunday, Jamison Hensley of ESPN reports. 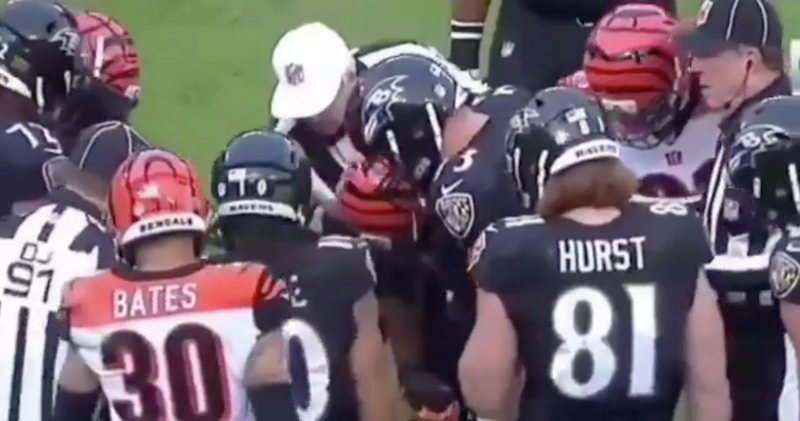 The sequence in question occurred in the fourth quarter after Burfict tackled Baltimore running back Alex Collins and a minor scuffle ensued involving several players. Video from the CBS broadcast of the game shows spit coming from Yanda’s mouth while Burfict was on the ground after the play, and Burfict had no apparent reaction. Neither Burfict nor the Bengals have publicly commented on the incident. Yanda learned of the video at 9 a.m. Monday while heading to a charity event and was stunned that people assumed he spit on Burfict. 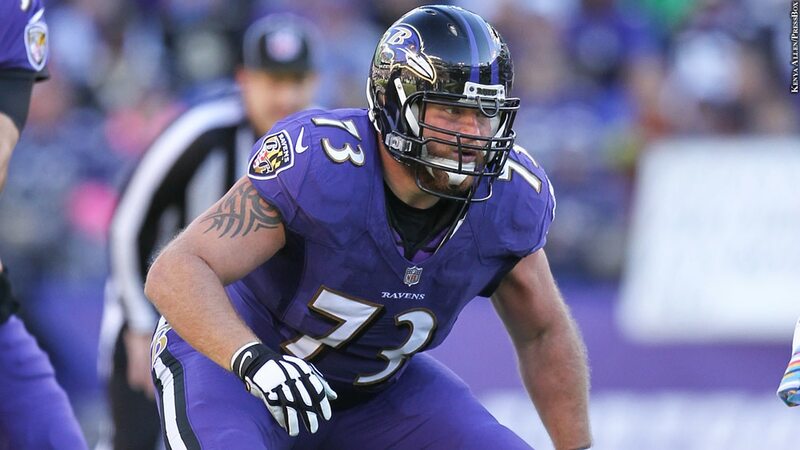 Ravens coach John Harbaugh strongly defended Yanda on Monday. 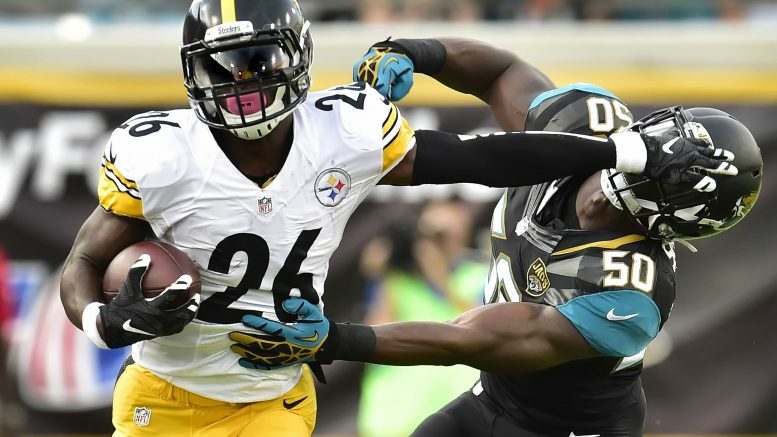 With a year of rest underneath his belt, Bell won’t be in black and gold next season, but how about playing in Baltimore, the biggest rival to the Steelers? But, he also talks about some other teams in the mix for Bell’s services, and one of them could be the Ravens, where he would give a HUGE upgrade to the offense. 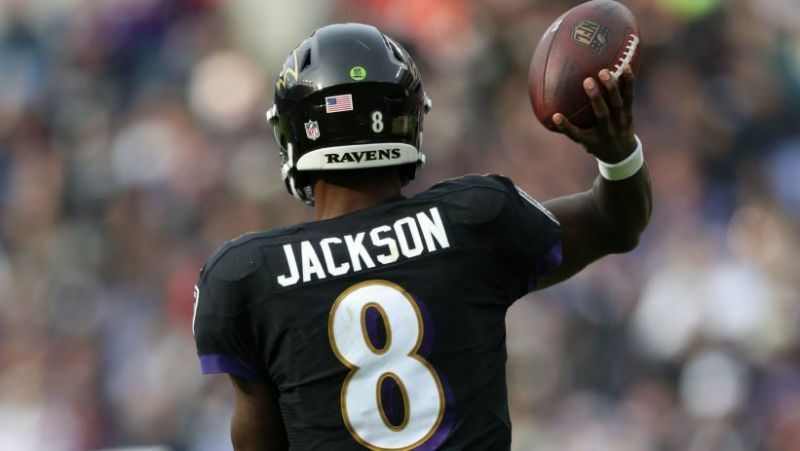 One team source’s belief is the Ravens will move on from quarterback Joe Flacco, hand control of the offense to Lamar Jackson and sign Bell to help take pressure off Jackson. Bell would be Jackson’s version of Todd Gurley. So while it sounds like a long shot, how great would the Ravens offense be with Bell running the football wearing purprle next season? The Ravens since their win in late September over the Steelers at Heinz Field have been in a major tailspin, one that has the rumor mill swirling that the seat under head coach John Harbaugh is very, very hot. Baltimore was 3-1 after the September 30th win over the Steelers, but since have gone 1-3, leading many to think that it just might be time to make a change at the head coaching spot. A loss today to the Steelers at home will not help matters in the least. Emotions were especially high after last week’s game, a 36-21 loss to the Panthers. While those inside the organization have strong personal feelings for Harbaugh — he did lead them to a Super Bowl title — they haven’t made the playoffs since 2014. 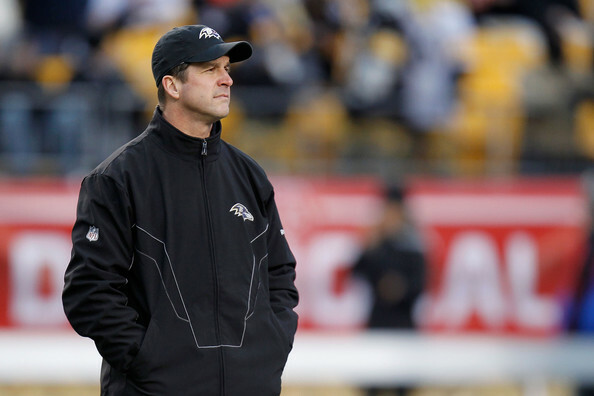 Contractually, the Ravens already put Harbaugh in a win-or-else situation. He received a one-year extension during training camp last year, taking him through 2019. The organization did weigh whether or not to have Harbaugh return after 2017, before deciding he should be back with no changes to his deal. And clearly, the coach is committed to doing everything he can to win with an organization he loves. This offseason, Baltimore spent money in free agency, revamping the receivers room among other things, but the changes haven’t made a dent. To make matters more complicated, general manager Eric DeCosta is now in charge, and Harbaugh wasn’t his hire. On the field, the defense has been nasty, allowing the fewest points. The roster improved compared to last year. Another failure this week will not sit well with the front office, and the way things are going with a bye week coming up and another game against the Bengals, who beat the Ravens earlier this season, it might be time to make a move and end the Harbaugh tenure with a week to give an interim coach time to get his team ready for the second half of the season.